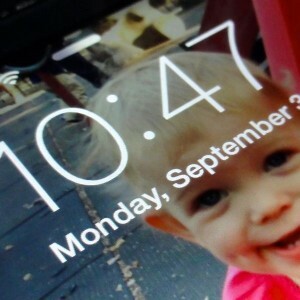 Sue writes: I just enabled Find My Phone on my iPad mini, iOS 7, and the look became very different. I like it, but the text or printing is very pale. I’d like a way to make it more bold, but the brightness setting didn’t help. It just made the screen light or dark. Any advice? Even text on your iDevice’s lock screen will look quite a bit bolder once you’ve enabled iOS 7’s new “Bold Text” setting. Hi Sue! 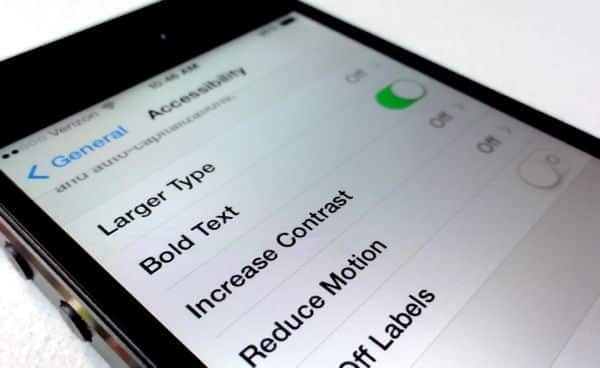 You’re in luck — there’s a new iOS 7 setting that lets you make the type a little more bold. Tap Settings, Accessibility, then flip on the Bold Text switch. Your iPhone will restart, and once it comes back to life, you’ll notice that text on your lock screen, home screen, menu screens, and within most apps will be looking a lot more bold. Another option is to tweak the Larger Type settings; it’s just above the Bold switch, and it’ll boost the font size for apps that support the setting. Looking for more iOS 7 tips? Click here!